Last night I took my first formal painting class since college. I was in pure heaven. 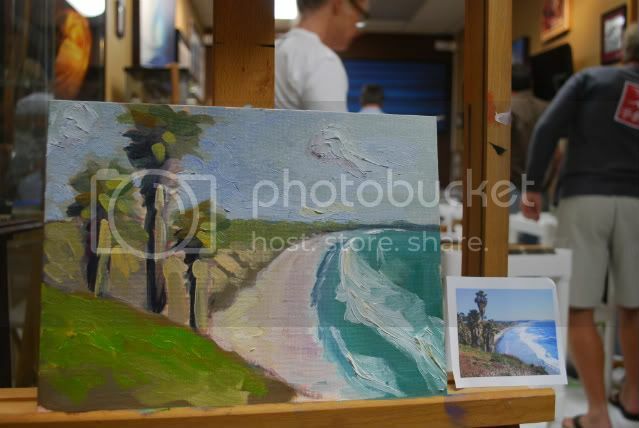 The Pacific Surf Gallery in Cardiff is hosting painting classes with Wade Koniakowsky. Last night we painted from a photo of Swamis. OH MY GOSH... Did you paint that? Amazing!!! That's beautiful! Alexis you must sell them... I want it... Please, Please, Please! You're very good!